Wigle Whiskey and Threadbare Cider are celebrating Phil with the release of a special Whiskey and Cider. Phil’s Shadow Whiskey and Phil’s Burrow Cider will be released over the weekend of January 18th with a few special events. This special Phil-a-palooza is a collaboration between Wigle Whiskey and Punxsutawney Groundhog Club. 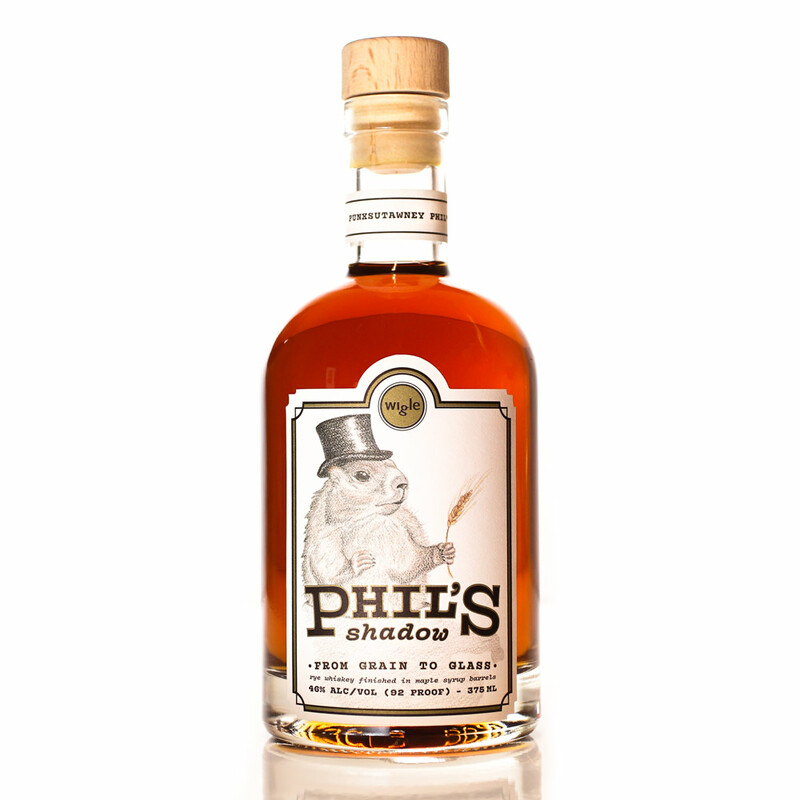 Phils Shadow begins with regionally sourced rye, locally distilled, and is aged for 18 months in new charred oak barrels at Wigle Whiskey Distillery. After the 18 months it is then transferred to maple syrup barrels, this results in a spicy and sweet Whiskey. Phil’s Burrow is a dry cider that is finished in Wigle Whiskey Dunder Rum and Landlocked Rum Barrels. To finish Phil’s Burrow, the cider is then placed back in the fermenters with chopped raisins and cinnamon. The result is a sweet, warm cider. Punxsutawney Phil will be on location with the Groundhog Club for photos. The Groundhog Club will also have merchandise for sale. The $12 ticket includes one barrel-aged cocktail, a sample of Phil’s Shadow and family friendly Phil like activities. Food truck Pita My Shawarma will be on site, but not included in ticket price. Groundhog Phil will be available for a photo opportunity. Family activities include coloring pages and a Groundhog finger puppet. A cider maker will be on-site for Phil’s Burrow samples. Have you ever wanted to learn to make the perfect maple cocktail? This is your chance! Wigle Whiskey will teach a small group session by going through a flight to pick the best spirits for this cocktail, then you have the chance to build a creation of your own. The $30 ticket includes a Wigle Whiskey flight, guided cocktail session and a light snack from Threadbare Cider Kitchen. Tickets are required. Wigle is just one Pittsburgh company that teams up with Punxsutawney Groundhog Club so stay tuned in the coming weeks for more information. For more information on these events or on Wigle Whiskey visit https://wiglewhiskey.com. Cheers! If you love this piece, BOLD Pittsburgh covers Wigle Whiskey a lot. Visit our pieces on an Apple Infused Whiskey and a “Hopped” up Whiskey.